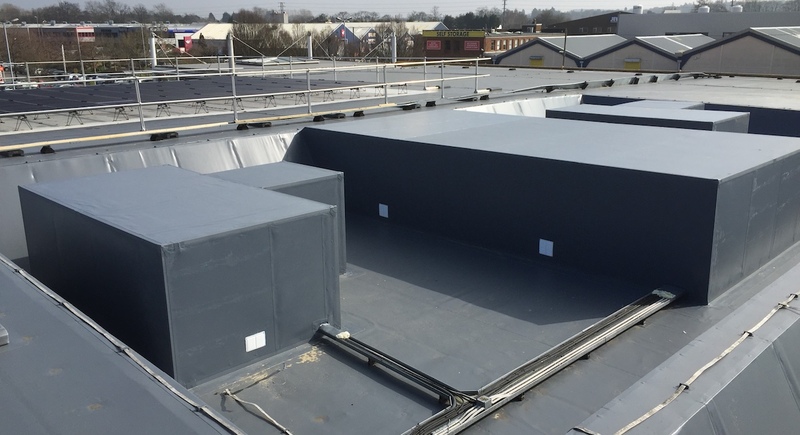 Since the late 1970s, single-ply roofing has covered many of the UK’s buildings – from sports stadiums and supermarkets to airports, schools and hospitals. So it’s no surprise that, in more recent years, it’s become increasingly popular in housing. 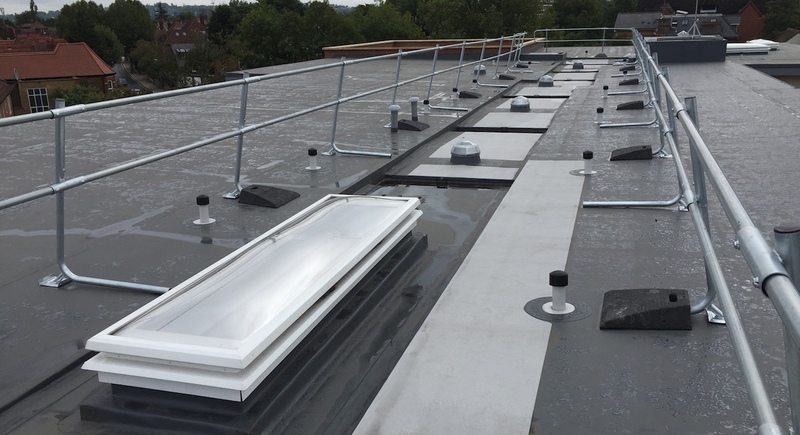 Created from resilient and flexible membranes, single-ply roofing is a complete and durable solution for keeping heat inside your property and leaving wind and rain out. A single-ply membrane is laid over a base layer of thermal insulation, which sits on top of a vapour control layer (VCL). This helps keep the roof decking warm during cold weather, reduces condensation and prevents any water vapour entering the insulation. Similar to warm deck, except this method protects the single-ply roofing thanks to special weather-resistant insulation that’s placed above each layer and held down by paving or stones. 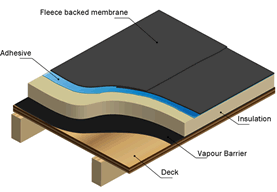 This traditional and cost-effective flat-roof design involves placing a waterproof membrane directly onto the decking. Insulation is laid below the deck. We provide a range of affordable solutions to install a roof that’s right for you. Why choose London Roofing Specialists? We can install your roof quickly and effectively, which not only reduces any inconvenience at your property, but also lowers overall project costs. 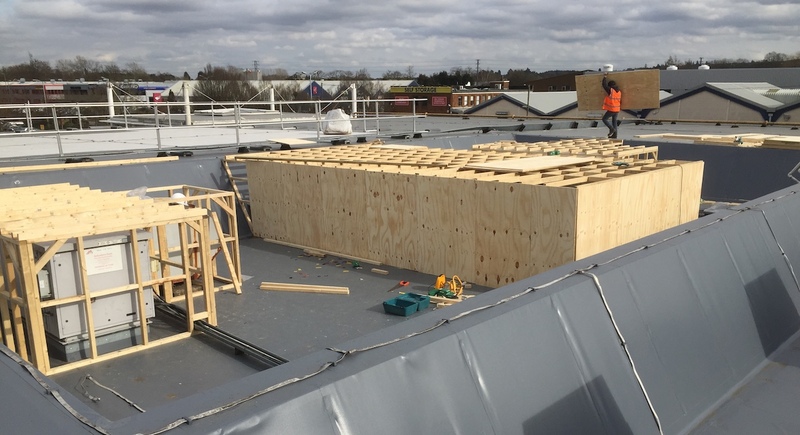 Along with fast installations, we can reduce the need for other materials that are often required when building or securing a roof – helping you save even more. Most solutions are guaranteed to last between 20 and 40 years. 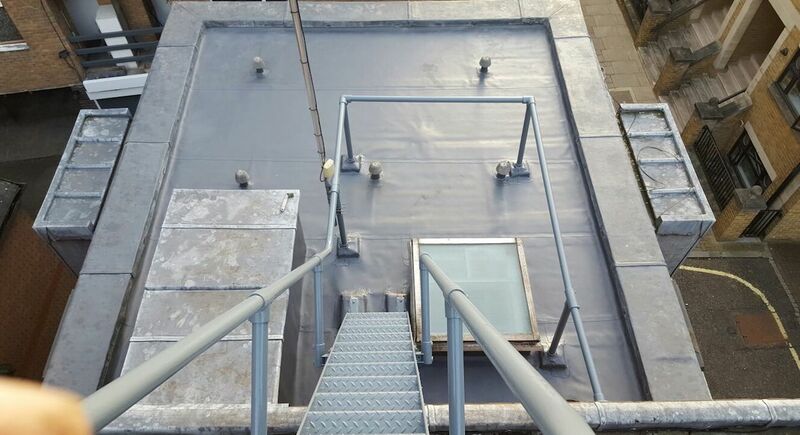 Through hot-air welding at the seams, we make sure your roof is puncture- and tear-resistant, and most importantly, waterproof. That same hot-air-welding process also replaces traditional installation methods like torching, which results in a much safer, flame-free installation. Did you know that the materials used for single-ply roofing are 100% recyclable? That’s because they don’t contain metals or halogens, so you can do your bit for the environment too.